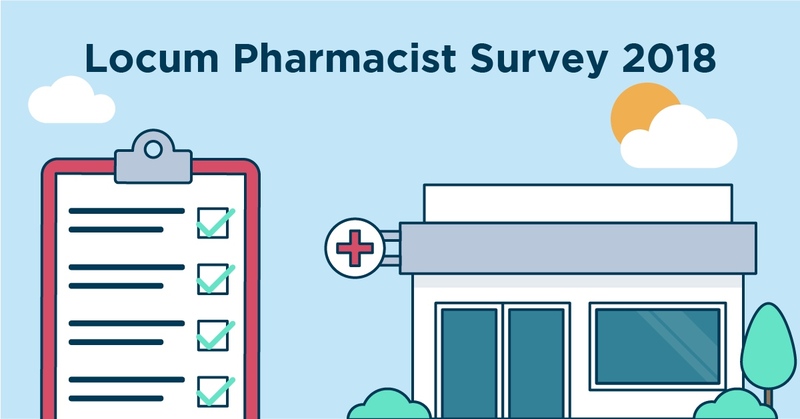 We’ve been busy looking into just what makes pharmacist locums across the UK and Ireland tick, and after surveying 150 of you, we think we have a fair idea. Going locum can often feel like breaking out of the safety of your enclosure and into the wilderness to fend for yourself. For many people, however, the draw of this career path far outweigh the risks. And the main pull? Flexibility. In fact, 77% of our respondents told us that they chose the locum life over a job with a permanent residence because of this reason. Our director Jonny Clarke doesn’t think this is much of a surprise. He said, “The ability to choose one’s own shifts, hours and overall calendar can make a real difference for those balancing personal responsibilities with their work lives. Other reasons included salary (7%) and lack of full-time work (8%). The survey also sought to understand more about locum work, particularly what motivates a locum pharmacist to choose specific shifts. Brand name, apparently, will no longer cut it. 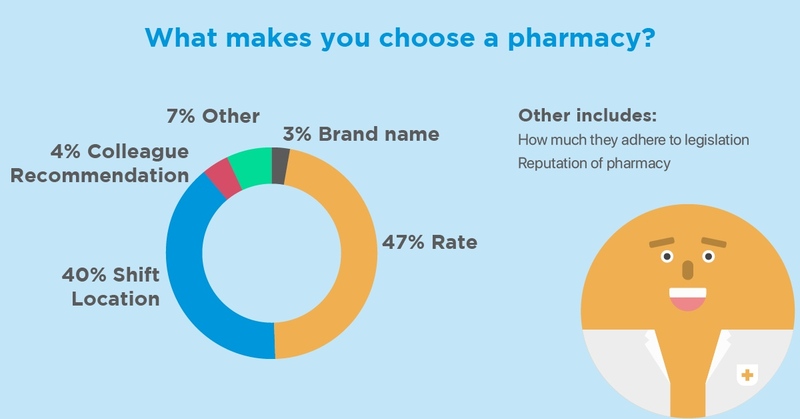 Only 3% of respondents said a brand name was a key part of choosing a shift, while 47% chose pay rate. Coming in second was shift location (40%). Colleague recommendation was chosen by 4% of respondents. 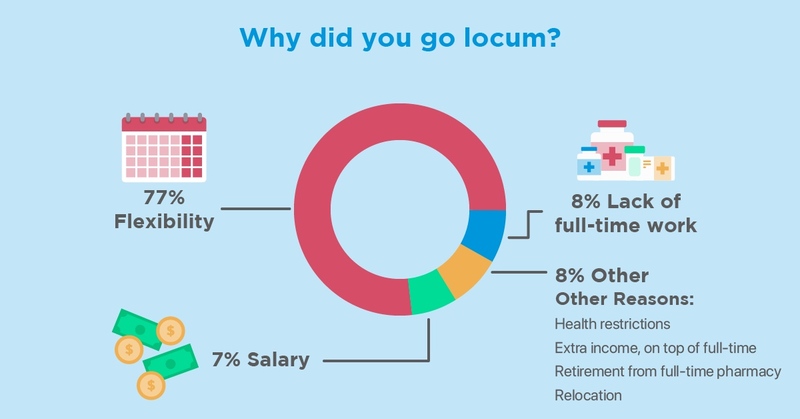 So, who is the typical locum? 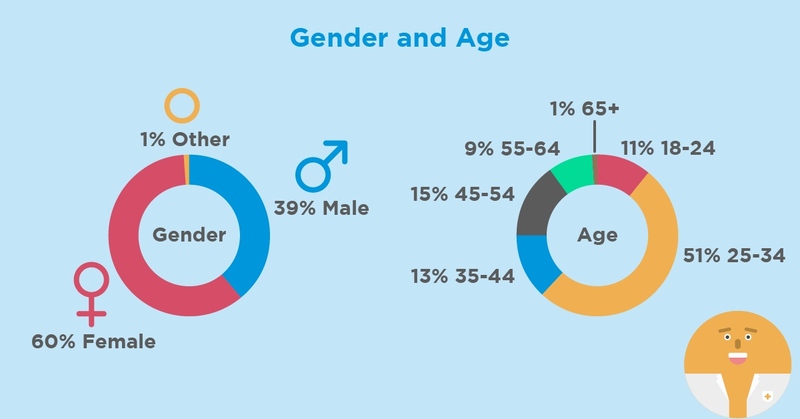 According to our survey: a woman, between 25 and 34 years old. The number of working locums obviously drops as ages increase, but 1% are still working as pharmacists at 65 years of age and older! One of the joys of locum work is that there is not one way to do it. Some may prefer to leave it later and give themselves as much flexibility as possible, while others might opt to arrange their shifts a month or two in advance. According to our respondents, the most common time in advance to book shifts is 2-4 weeks. 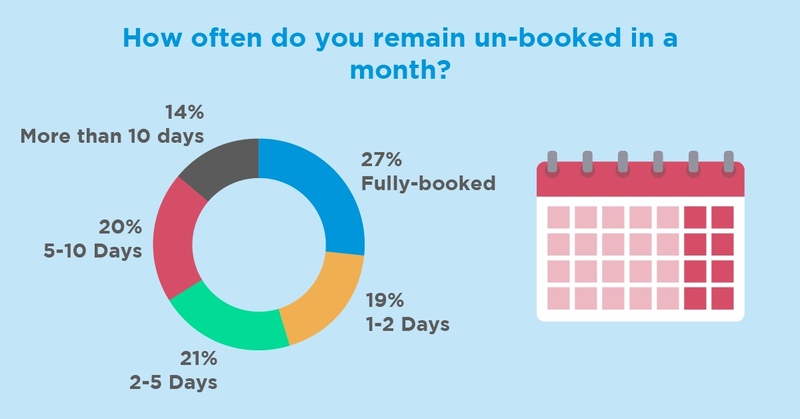 The majority of the respondents also said that they kept their months fully booked. 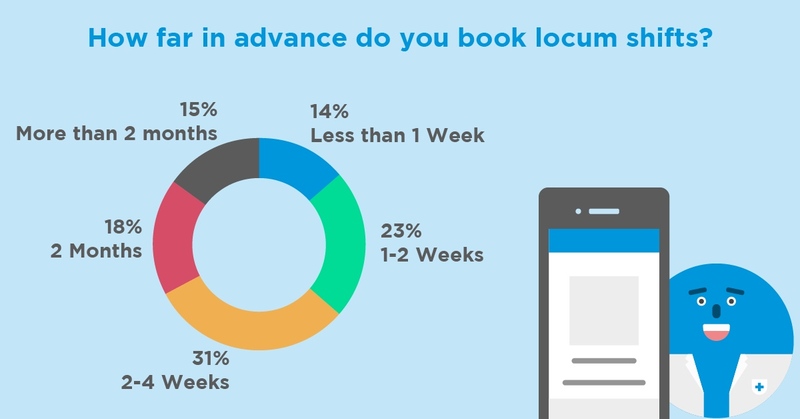 The second most common time to remain unbooked was only 2-5 days, indicating both the availability of locum work and the way a typical locum manages their calendar. The period of time locums remain unbooked varies greatly. Many people get into locum pharmacy, as we have seen, because it is more flexible than fixed community or hospital positions. However, is it a difficult career move to make? By and large, the change is relatively simple, according to our respondents. 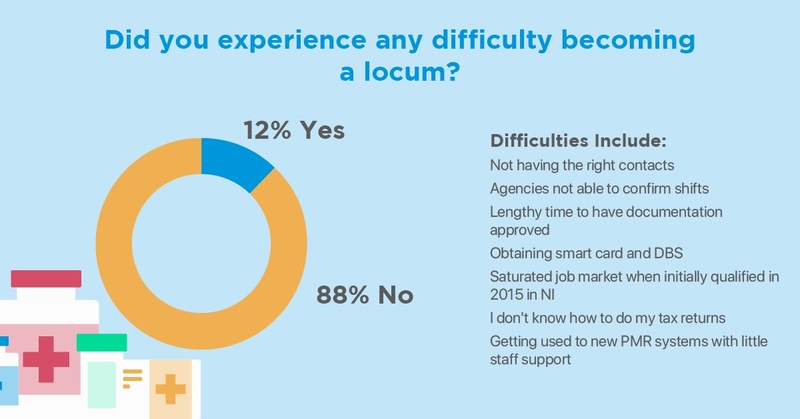 88% cited no difficulties in becoming a locum. Those who did experience difficulties described not having the right contacts or struggling to communicate effectively with their agents, both of which Locate a Locum had identified as problems within the pharmacy industry. Others still mentioned the crowded job market in 2015, and the lack of support when it came to things like learning how to file tax returns and obtaining a DBS. Is locum work a lifelong career? 28% of our respondents aren’t really sure. Of course, this is one of the pros of locum work - you don’t have to know! You can be a locum for as long or short as suits you, which makes it particularly useful for inexperienced graduates to build up a year or two of skills in a real pharmacy setting. 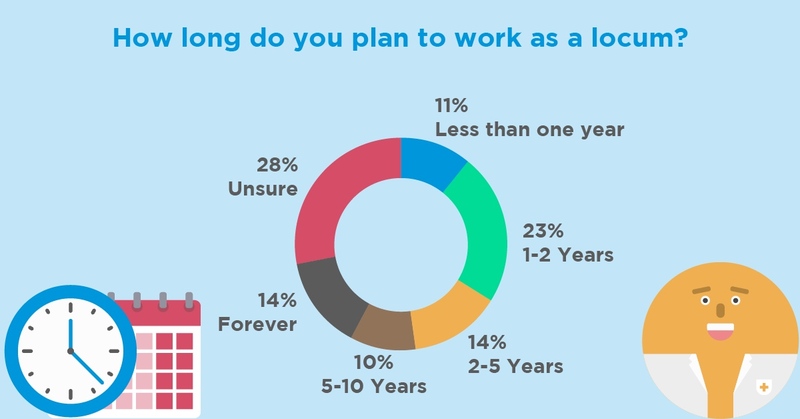 23% were planning on sticking around for 1-2 years, and 14% saw somewhere between 2 and 5 years. 14% saw locum life as their forever job, proving that while locum work can be a temporary fix, it can also be your main source of income all your life. 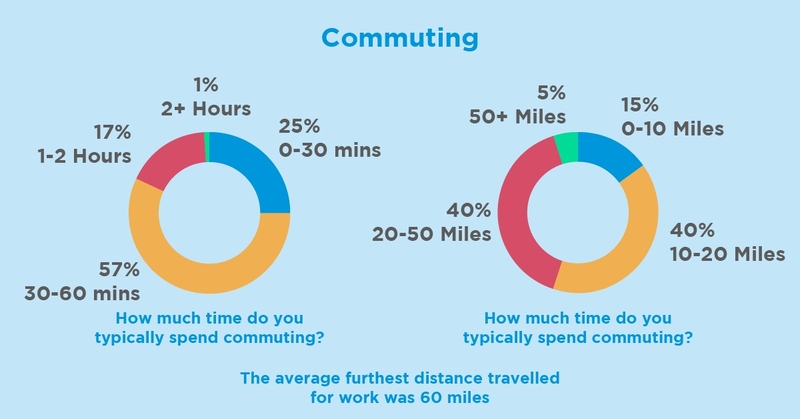 Most of our locum respondents spend between 30 and 60 minutes travelling to their shift of choice, with a small minority of 1% journeying as much as 2 hours to get there. The most common distance was a tie between 10-20 miles and 20-50 miles. What do you think of our results? Let us know your thoughts.